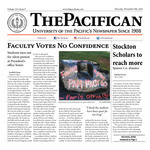 University of the Pacific, "The Pacifican November 8, 2018" (2018). The Pacifican. 74.